Coordinate your next party with items that match your theme. Your next golf themed party or event is a perfect place to use these place cards. Not only can these be used as seating cards. They also work well as food tents/food labels and can also be attached to bags and used for party favors. 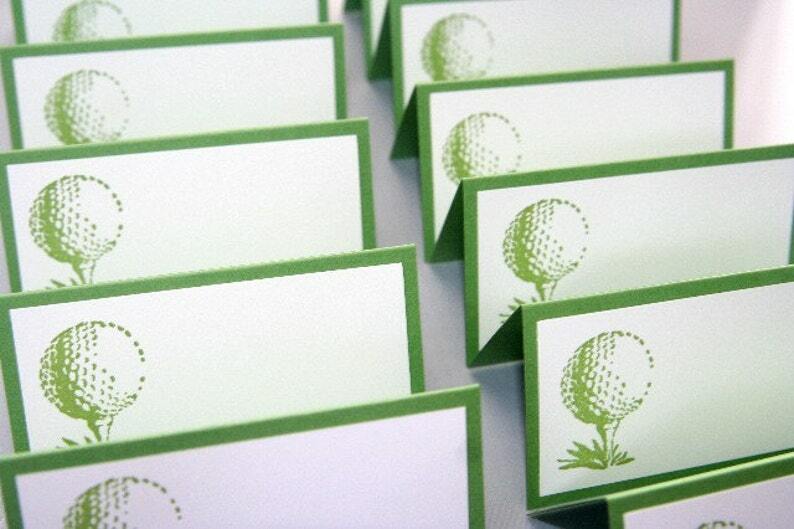 The golf ball image is hand stamped in green to match the green card stock base. **If you would like a larger order of these, feel free to contact me. I would be happy to create a custom listing for you. **Like the design but have a placecard holder and want flat cards? No problem. Send me a note and I can change these from foldover to flat. Place cards measure 4 x 2 inches. Metric size: 10.16 x 5.08 cm. Great quality and quick shipping!